Zoysia sod provides homeowners with a lush green lawn without demanding too much care. Found throughout Southeast Asia, zoysia immigrated to the United States in 1911, where it was first cultivated in Florida. Zoysia's most famous use is in the Japanese Imperial Garden, where it has flourished since the 14th century. Compared to grasses such as fescue, zoysia is extremely hardy and easy to care for. Frequently used on golf courses, zoysia tolerates heavy traffic and requires little maintenance. Zoysia's slow-growth habit requires patience. Sod gives lawns a quick start and a neat appearance while the grass establishes itself. With zoysia, sod prevents erosion of topsoil, which may occur if seeds are used instead. Homeowners choose zoysia sod make a smart investment in the appearance of their homes and gardens. Zoysia often elicits a "love it or hate it" reaction among homeowners and gardeners. Planting zoysia grass provides gardeners with easy care lawns most of the year. Great summer-growing lawn that tolerates heavy traffic. Rarely troubled by insect pests, so no need to use chemicals to control bugs. Easily spreads over time and crowds out weeds, eliminating unsightly crabgrass, dandelions and the like. Slow-growing habit requires less frequent mowing. No need to reseed or plant new sod once established. Spreading and invasive nature of zoysia. If left unchecked, zoysia can easily spread into areas where grass isn't wanted, including flower gardens. Worse still, it can spread onto neighbor's lawns-and your neighbors might not appreciate it. Brown color in the winter. Zoysia greens only in temperatures over 70 degrees Fahrenheit, so in cool winter areas, lawns appear brown for many months of the year. Does not tolerate shade well, so if you have large trees or other shady patches, skip zoysia. Meyer Zoysia: forms a dense, thick carpet-type lawn. 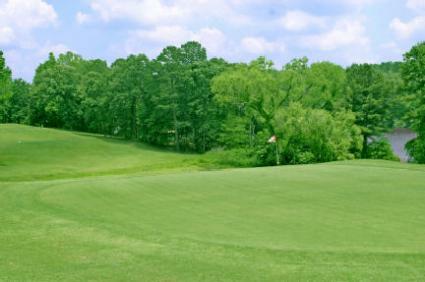 Frequently used for golf courses, Meyer Zoysia can take heavy foot traffic and still look great. Meyer zoysia boasts great cold and heat tolerance too. Emerald Zoysia: Emerald, a hybrid zoysia, tolerates a bit of shade. Its slow growth habit means less frequent mowing, a plus for busy home owners or those who just hate to mow. Sod makes sense when planting zoysia. Lawn sod creates an instant picture-perfect lawn that takes less time to establish than seeds or plugs. Both types of zoysia sod may be found at local garden centers, nurseries, or sod farms. To determine how much sod you'll need, measure two adjoining sides of the lawn. If your lawn is rectangular or square, multiple the two numbers together to determine the square footage of the lawn and take this number to the store with you when you purchase the sod. Proper soil preparation gives your new zoysia sod a healthy head start. Begin your project at least two weeks before you expect to purchase or receive the sod. Clear all weeds using a non-selective week killer at least two weeks before planting the sod. Never lay sod immediately after using weed killer, since it will kill the sod too. Leave yourself enough time to properly prepare the soil and remove weeds before purchasing and laying the sod lawn. Test soil for lime and fertilizer needs. To conduct a soil test, dig about six inches into random spots on the lawn. Take three samples and place them in plastic baggies. Your local Cooperative Extension office can test for lime and fertilizer needs and make recommendations. Soil test results may take a few days to a week or more, so leave yourself enough time to get the results, purchase the amendments, and follow the next steps. Till the soil thoroughly to a depth of six inches to provide room for roots to spread and grow. Mix into the freshly tilled soil the lime and fertilizer recommended by the local Cooperative Extension office from the soil test. Add other natural amendments, such as compost, to add fertility to the soil. Use a lawn roller to roll the ground even. Fill any low spots with extra soil. Lay the sod. Start along the longest straight edge, and lay pieces end-to-end. Don't leave any gaps. Stagger the pieces so that the seams do not line up. Trim sod using a sod cutter if pieces are uneven. Roll again to tamp down the sod. Learn all about zoysia sod, zoysia planting zones, and more on this website dedicated just to zoysia grass! All About Lawns offers extensive information on caring for zoysia. Lowes, the home improvement store, also offers information, care and planting techniques on zoysia.